An associate in Lewis Wagner’s litigation group, Katie’s focus is transportation and premises liability. She earned her Bachelor of Science in Public Administration with a minor in Spanish from Indiana University-Purdue University Indianapolis. Katie received her J.D. from the Indiana University Maurer School of Law, where she served as Notes and Comments Editor for the Indiana Law Journal, as well as President of the Public Interest Law Foundation. 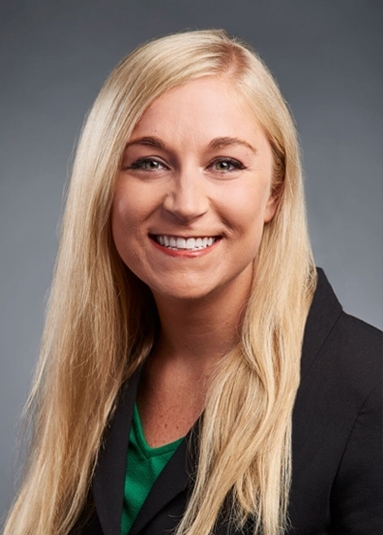 Prior to joining the firm, Katie worked as a legal intern for several organizations, including the United States Department of Transportation, Indiana Legal Services, the Federal Trade Commission, Indiana University’s Nonprofit Legal Clinic, and Indianapolis criminal defense and family law firm Ponist Law, LLC. "Is police body cam video admissible in transportation litigation?" The Indiana Lawyer, January 23, 2019. Conflicting Approaches to Addressing Ex-Offender Unemployment: Examining the Work Opportunity Tax Credit and Ban the Box, 93 Indiana Law Journal (2018). Is police body cam video admissible in transportation litigation?